This American Eagle is graded by PCGS as MS 70 First Strike: The perfect coin, with no trace of wear, handling, scratches or contact with other coins from a (5x) magnification. A coveted collector's and investor's beautiful Silver Eagle Dollar. 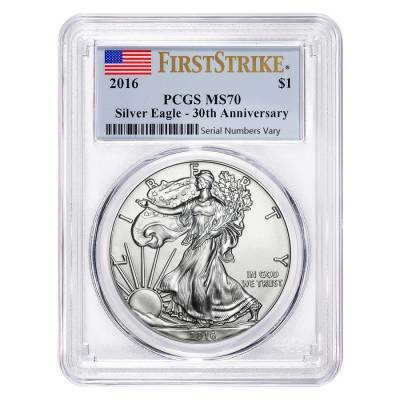 This MS 70 First Strike coin marks the 30th anniversary of the Silver Eagle series and the 100th anniversary of the Walking Liberty design. It is the preferred choice of many due to its crisp appearance struck from new dies. And each coin is one ounce of 99.9% pure silver. The Silver Eagle adorns the obverse of the coin. Whilst the reverse side features Miss Liberty draped in a U.S. Flag, walking boldly into the future encircled by the word 'LIBERTY' and the words 'IN GOD WE TRUST' at her side. The iconic American Eagle Coin has been in circulation since 1986, and has been produced in proof and bullion versions since its inception to appease both collectors and investors. The Silver American Eagle Coin adds prestige to any existing collection, and serves as a wise investment to combat our constantly fluctuating markets. A flawless coin packages in thick plastic wrapper. The 2016 Silver Eagles from the U.S. Mint graded in perfect Mint State-70 condition (MS70) by Professional Coin Grading Service (PCGS) is in stock and available for a great price. Here you chance to get yours, TODAY! Like all of our other silver coins, this one is guaranteed to be 100% authentic. These Silver coins are the perfect blend of collectible beauty and investment appeal. Purchase American Eagle Coins in brilliant uncirculated condition from Bullion Exchanges online or in person at our retail location! If you have questions about the 2016 1 oz Silver Eagle $1 Coin please do not hesitate to contact us. I received superb customer service, and my 2016 1 oz silver American eagle $1 coin PCGS MS 70 First Strike 30th Anniversary arrived in just three short days! I will most certainly return to BE to purchase my future American eagles! Keep up the good work; your team is top-notch! 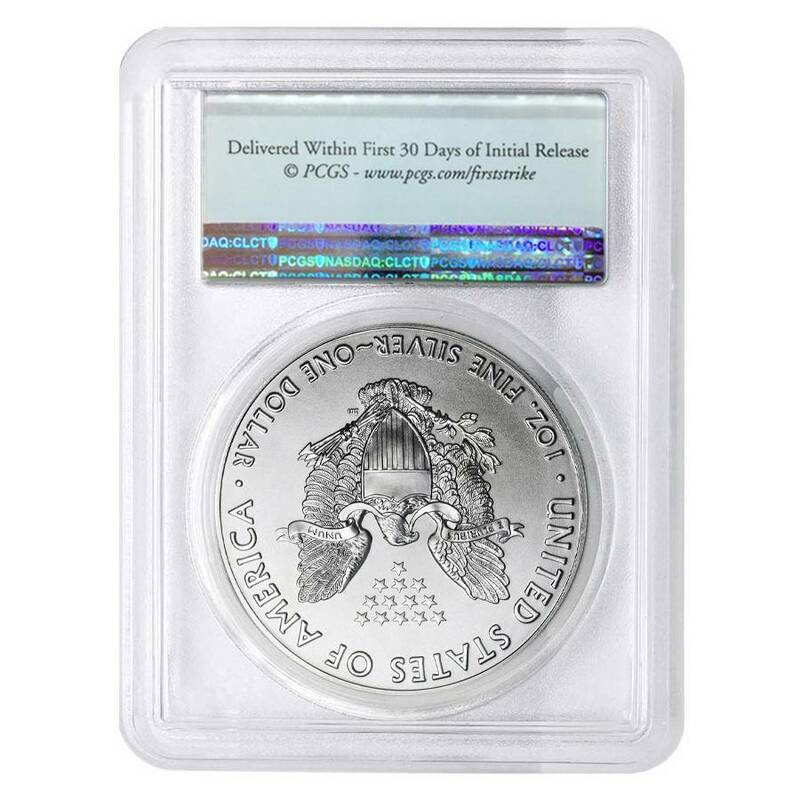 I'm completely satisfied with my purchase of this special coin, a silver 2016 American eagle MS 70 that PCGS labelled in celebration of silver American eagles' thirtieth anniversary of minting--the coin and its price, packaging and quick, free shipping, the great website and customer service that made ordering it a charm--all top-notch; I'll be ordering from Bullion Exchanges again, to be sure! 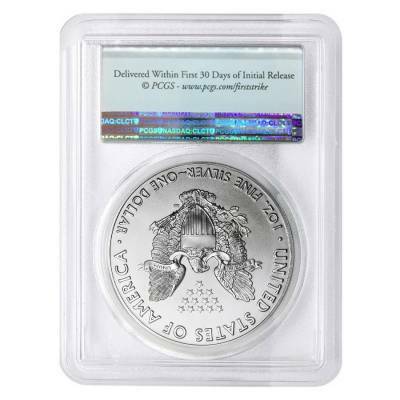 Bullion Exchanges always has a great selection of silver American eagles. The product's beautiful, and shipping is speedy-quick, with great customer service! For every $1 spend, you will earn 1 Bullionaire Buck which is equivalent to $0.001 off a future purchase. 45 BB = $0.05.